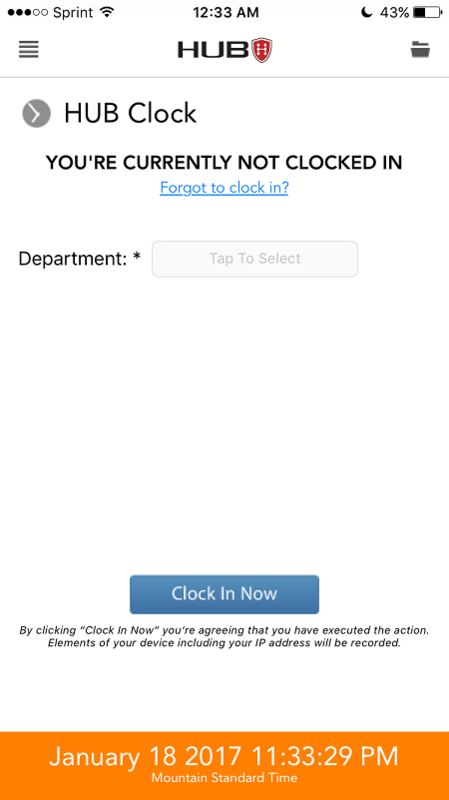 If enabled by the employer, employee may also choose to use the HUB app on their smartphones to clock in/out. 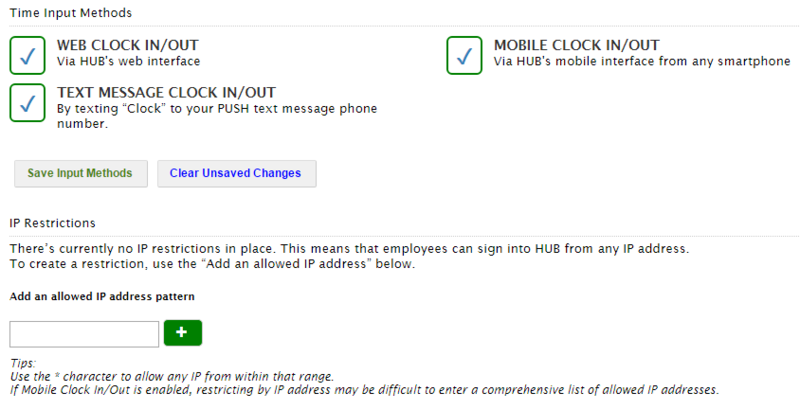 If an internet connection isn't available, employees can use the PUSH text message feature by sending a simple "Clock In" or "Clock Out" to a designated PUSH phone number. Employer's must first must activate this feature on the employee's profile before use.